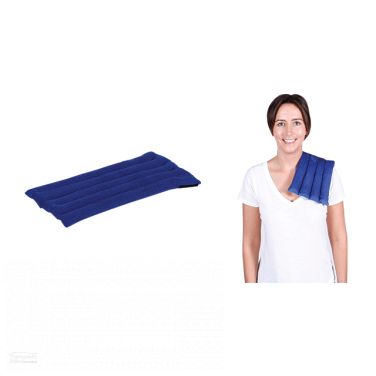 Designed and made in Australia in tight collaboration with Australian physiotherapists, our purposefully selected series of Heat Packs provides targeted muscular pain relief. 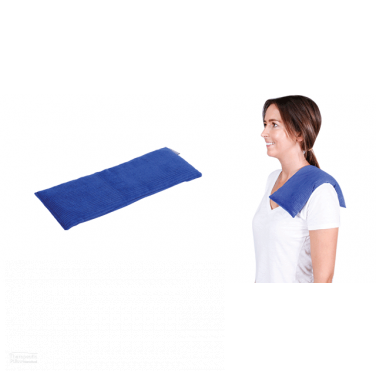 Made with natural Australian Lupin Wheat for simple safe microwaveable use, our Heat Packs provide long lasting pain relief via therapeutic-heat compression. Even for those without physical ailments, our Heat Packs give prolonged warming comfort when resting at home, in the office or whilst traveling. At Pillows Australia we proudly provide our customers with a specially designed series of natural Australian Lupin wheat Heat Packs that are created and made right here at home in Australia. Developed in close collaboration with Australian physiotherapists, all of our Lupin Heat Packs have been specifically manufactured to the highest standards of health and wellbeing held the world over. 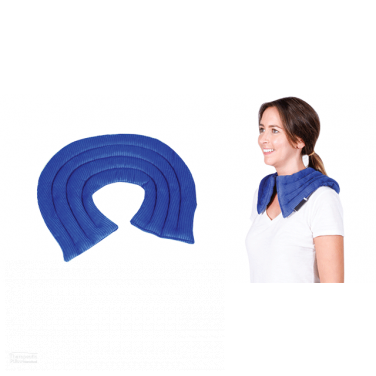 Whether it be for physically debilitating condition, muscle aches, pains, muscle tension and tightness, or just for relaxing and rejuvenation, our Lupin Heat Packs give prolonged therapeutic-heat compression and can be easily reused over and over again. The heat compression that the natural Australian Lupin wheat offers is an environmentally conscious way of creating a safe clean and natural therapeutic product, that uniquely provides heat compression to muscles and joints to relieve and prevent aches and pains. The Australian designed and made natural Lupin Heat Packs enrich the health and wellbeing of Australians and people the world over. From our heating Hand Mitts to our soft square Heat Bags, the natural Australian made Lupin Heat Packs that we supply have all been comprehensively created to give the best heat bag comforting warmth. The natural Lupin heat bags are widely regarded as a natural “low allergy” alternative to the generic wheat bag. Not only are our Lupin heat bags more resistant to moisture making them easy to clean, they are lighter with substantially less weight than a wheat based heating pad, giving additional comfort in a way that most heat bags do not offer. The natural Lupin heat therapy bag range is completely 100% natural, produced without any chemical treatment such as the use of fungicides commonly found in stereotypical wheat heating pads. The human body is a spectacular creation of organic strength and perseverance that passively enables us to ubiquitously experience and enjoy the world around us. In spite of our bodies inherent toughness, they are fragile structures vulnerable and often victims of a plethora of physically debilitating conditions. From back pain, lumbar and spine conditions, nerve pain from a slipped disc, sciatica pain, hip pain, knee pain, to neck, shoulder and spine pain, or bodies often suffer soreness muscle tightness and burning limb pain. Regular innocuous daily activities like sitting at the office all day, playing sport, going to the gym, driving to work, sitting on a plane, and simply sleeping incorrectly can make our bodies tired and sore. When we are physically worn down we simply do not function to the best of our abilities both physically and mentally. Despite our best efforts we often take our fragile bodies for granted. Our fundamental goal at Pillows Australia is to enable people to find the best support and comfort that their bodies need and deserve. 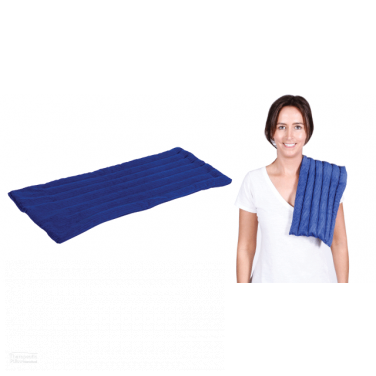 Heat therapy via natural Lupin Heat Bags is one of a range of ways in which we try to help people to achieve this goal. On top of all this, the natural Lupin heat packs we offer conveniently adapt to almost any situation where heat therapy is required. Whether at work, resting at home, traveling, or at the gym, our Heat Pack selection provides warm comforting heat therapy. From a flat heating pad to the Back & Hip Heat Wrap, our heat packs gently warm your body wherever you desire. 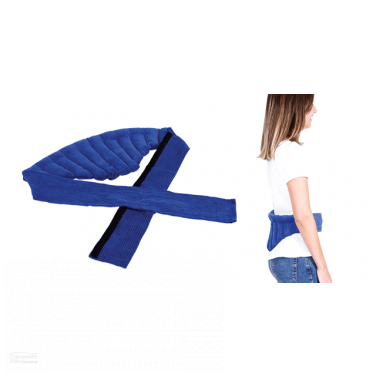 From our Back Supports to our Seat Cushions and of course our Heat Packs, the comforting and supportive design of all of our therapeutic products help us achieve our goal at Pillows Australia to enrich the health and wellbeing of Australians and people the world over. Res Better, Sleep Better, Be Better.